Participate in the MoEF and WWF-India’s Essay Writing Competition and you can be a part of the International Convention on Climate Change in Copenhagen this year. 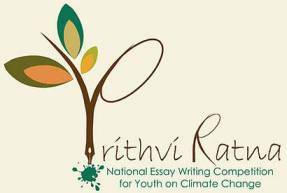 MoEF and WWF-India has organised an Essay Writing Competition giving all young people a chance to be a part of the International Convention on Climate Change in Copenhagen this year. Topic of the ESSAY: You are India’s future generation – How can you lead / influence the climate change challenge to ensure a sustainable future for the country and the planet? The winner of the competition will get a chance to be a part of the United Nations Framework convention on Climate Change in Copenhagen this December. 8 runners-up will win a three nights two days educational trip to Jim Corbett National Park. this is your best work, as students getting chance for participating at national level . please increase elegibility at least upto 26 yrs so that students of higher (Msc.) can participate in evnts. Please inform me if there are future competitions of this kind..do host nature-poetry contests too! I have been selected as winner for educational tour of jim corbat national park .I want to know about the date of going to this educational trip. please update the dates and give the dates of competitions of the current year so that more number of people can participate! please inform regarding such essay competitions in future..